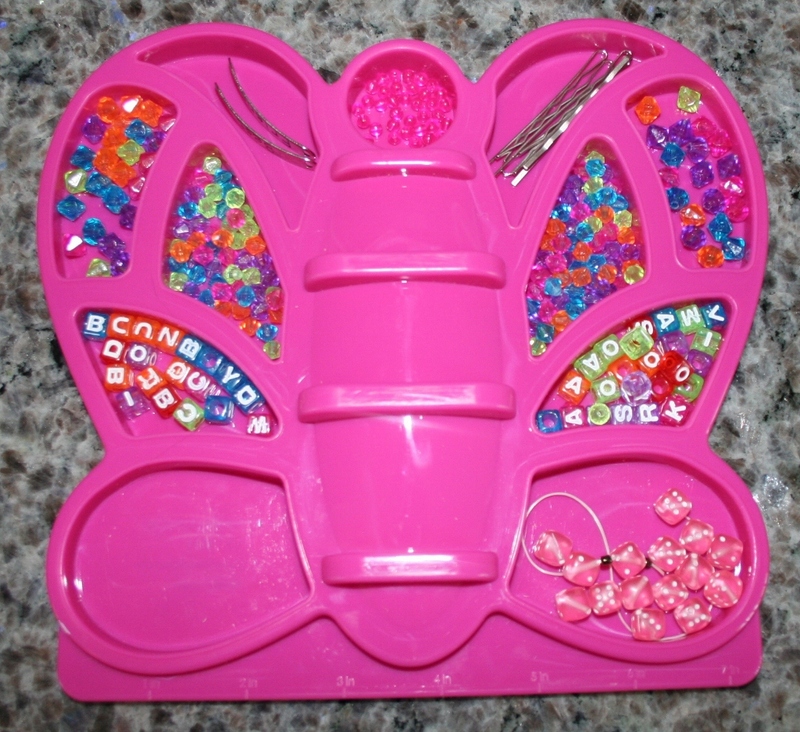 My daughter recieved this bead kit on her birthday. She had a few other beads too. 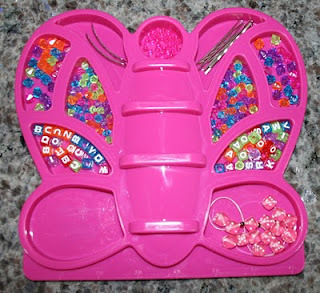 While this is very cute, if you are not using all of your beads it does not store well. 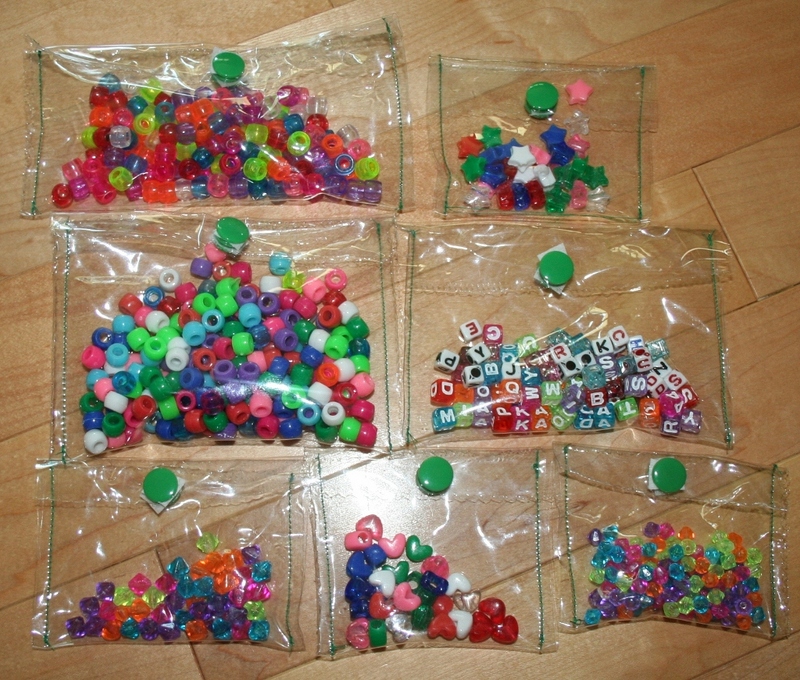 I tried to think of what I had and what I could use to store her beads. I finally decided to make some envelopes for them. I used plastic that I had saved from a blanket package, snaps and my sewing machine. I didn't measure anything, just cut random sized rectangles and sewed up two sides. I reinforced the snap area and voila! 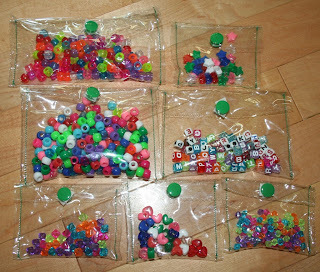 A super useful way to put away the beads, take up little space and see your supply. Gotta love a little organization.